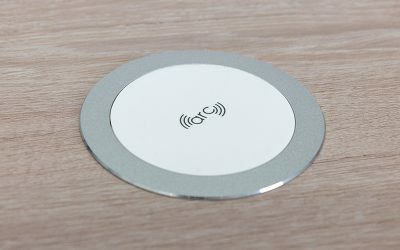 ARC-80 is OE Elafe’s next generation wireless charger. With up to 10W of power ARC-80 is one of the fastest wireless chargers on the market. 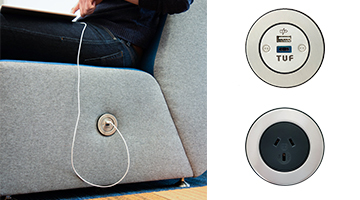 PIP is a small single outlet power or USB fast charging unit suitable for mounting in a screen or soft furnishings or seating. 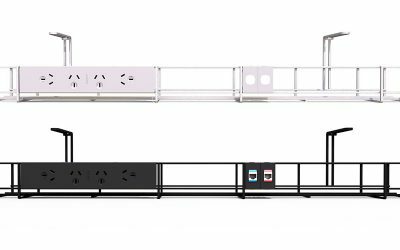 On the 1st November Elsafe Australia are changing our trading name to OE Elsafe. 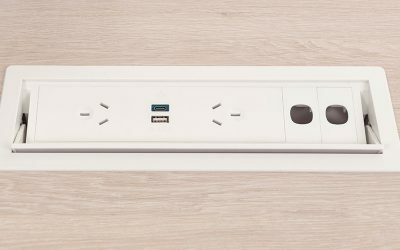 Partner is the ultimate solution for discreet personal power which was specifically designed for workstations that need access to a variety of in desk power, data, TUF USB Charging and AV but with the convenience of hiding it away when not in use. 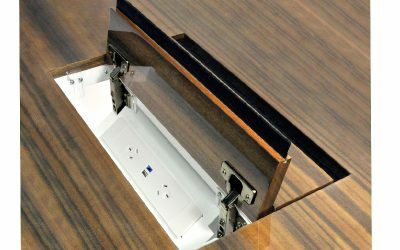 The ELITE in-desk box is the latest innovation to come from OE Elsafe that has been specifically designed to use the customer’s existing table material as the lid.